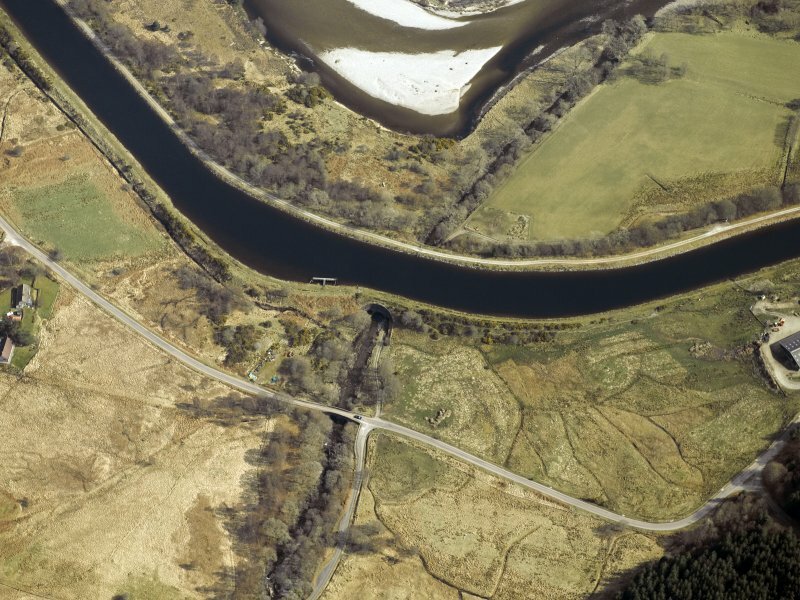 Oblique aerial view centred on the canal, aqueduct and road bridge, taken from the WNW. 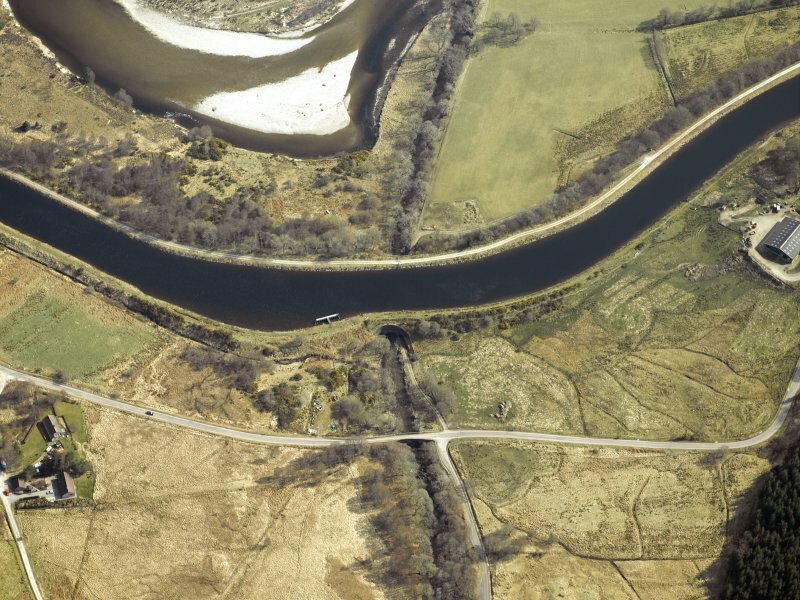 Oblique aerial view centred on the canal, aqueduct and road bridge, taken from the NW. 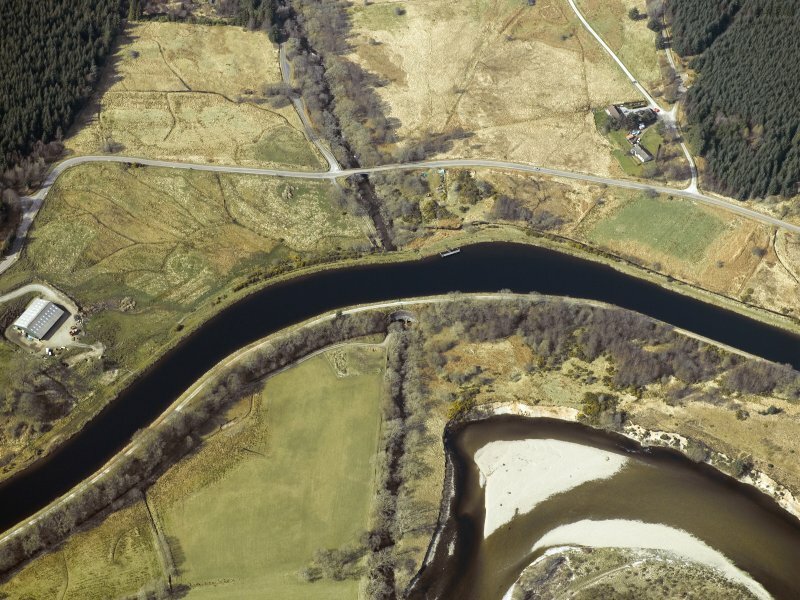 Oblique aerial view centred on the canal, aqueduct and road bridge, taken from the SE. 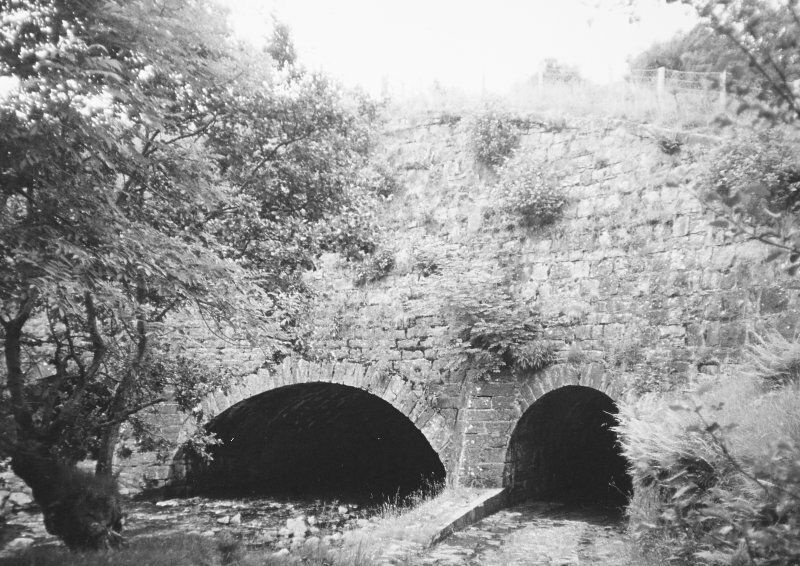 This sizeable aqueduct is one of the most significant on the canal. 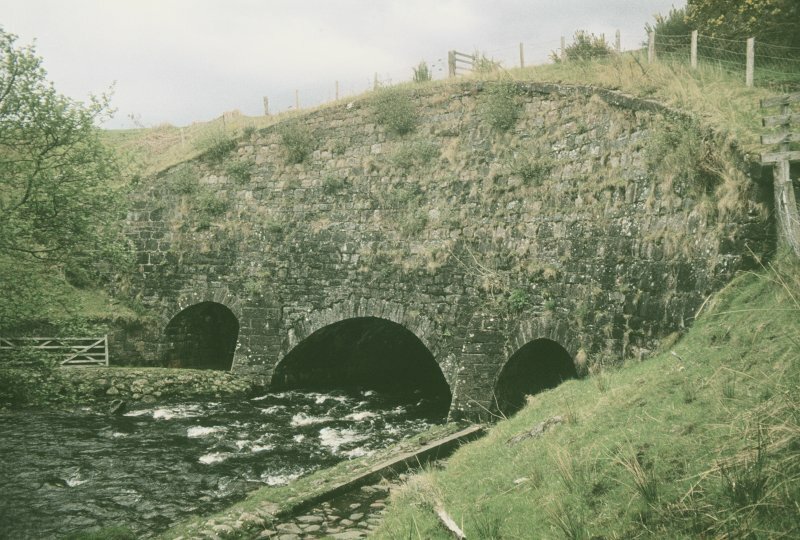 This feature, carrying the canal over the River Loy, is clearly marked as Aqueduct on the 1st edition of the OS 6-inch map (Inverness-shire 1874, sheet cxl) and as Aqueduct and Tunnels on the 2nd edition of the OS 6-inch map (Inverness-shire 1904, sheet cxl), on the current edition of the OS 1:10000 map (1975) and on the OS Basic Scale raster map (ND). Information from RCAHMS (MD) 6 September 2001. 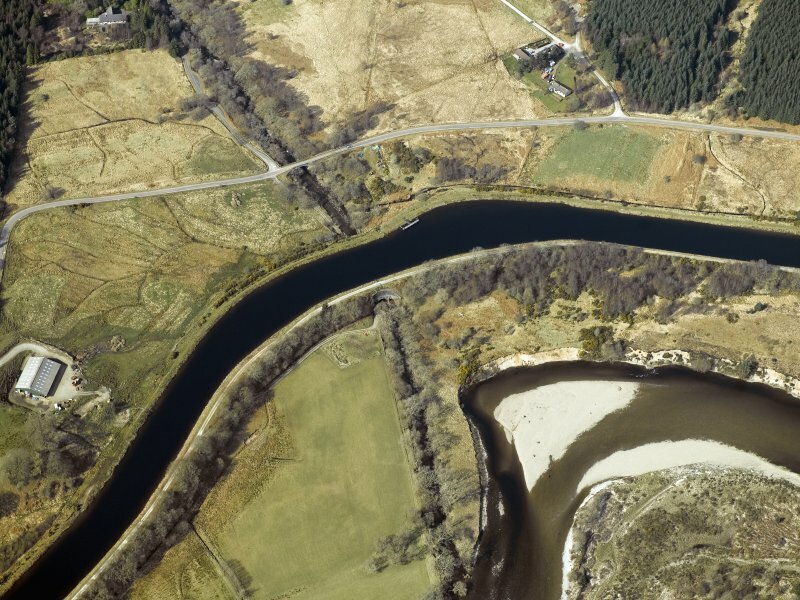 The aqueduct carries the Caledonian Canal (NN18SW 3.00) over the River Loy a short distance over its debouchement into the River Lochy and just below Loy (road) Bridge (NN18SW 14). Information from RCAHMS (RJCM), 9 May 2006. 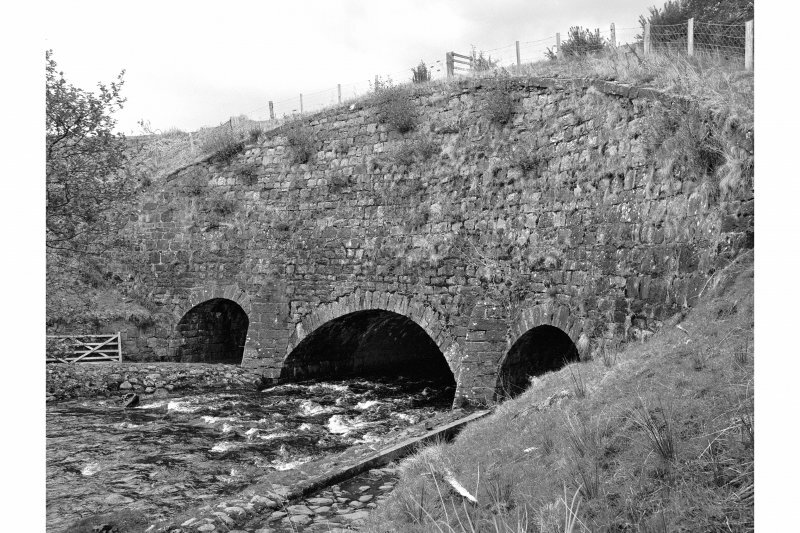 Aqueduct built on the Caledonian Canal. 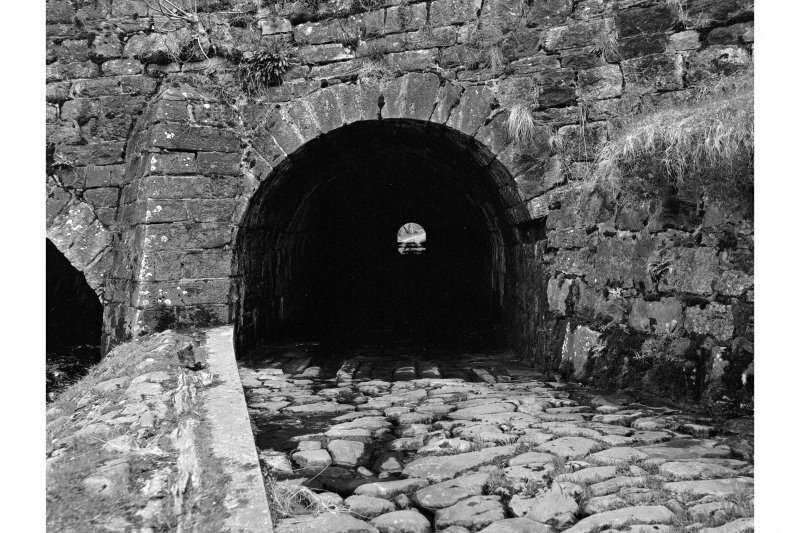 spans of 10 ft, 25 ft and 10 ft set in an impressive retaining facade and the tunnels are about 250 ft long.